CCM's mission is to nurture creativity and collaboration in all children and families. Children’s Creativity Museum is a hands-on, multimedia arts and technology experience for kids. Our mission is to nurture creativity and collaboration in all children and families. We believe that creative expression, innovation, and critical thinking are core to fostering the next generation. We are a nonprofit 501(c)(3), community-based organization. 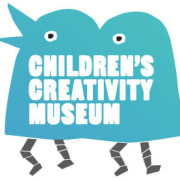 Would you recommend Children's Creativity Museum?